Many of the recipes I have developed for this site are both environmental and economically influenced. I personally believe that the more we learn about our world, our environment, and those life forms that share this planet with us, that we are able to make more balanced decisions. I am a fish lover and given the opportunity to fish sustainably and in water without chemical pollutants then I would probably eat fish for every meal. Unfortunately that is not a realistic possibility. But, what if I told you there is a healthy, tasty, sustainable, inexpensive fish option that can hold in the pantry for years? Canned sardines, are starting to sound like a magical food option. In my research for sustainable fish options time and time again I found that experts continuously recommended eating smaller fish like sardines and anchovies. Granted usually experts recommend fresh, canned is the only option for a Midwesterner like myself. The sardines are low in most ecosystems food chain. They spawn frequently and in large numbers. (Monterrey Bay Aquarium) This is a more sustainable option than fishing apex predators like sharks and blue fin tuna, then replenishing the top of the food chain of the fragile ocean ecosystem is considerably more difficult. Besides keeping the ocean healthy for later generations sardines are extremely healthy for us now. A 3.2 oz tin of Sardines in water contain a slew of vitamins, minerals, and omega fatty acids which are good for the heart, bones, sexual health of men, muscle health, and brain health. (Cooper) Also, at one or two dollars a tin anyone can afford to eat these tiny fish. For this recipe I combine a tin of sardines with several anchovy fillets and process until the texture becomes a pate spread. 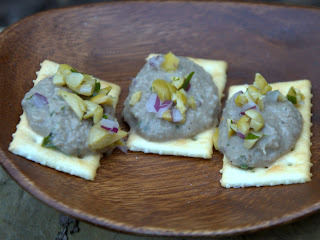 These are excellent over crostini or with crackers. This can be made quickly while entertaining guests and pairs well with white wine or a wheat ale. 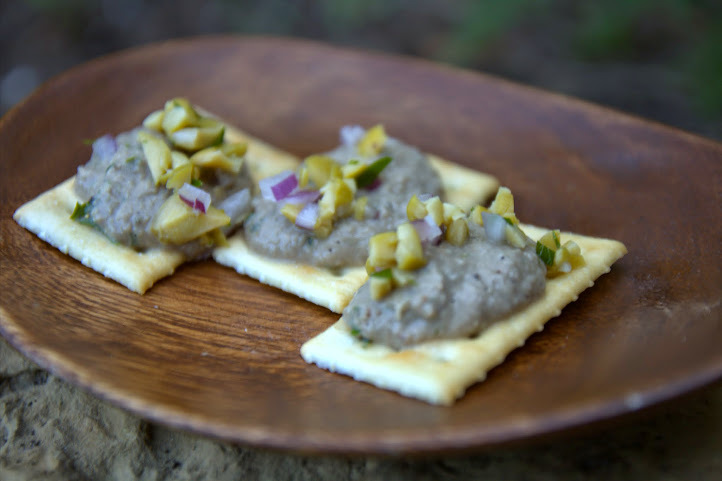 So when you are considering your next inexpensive, easy, and healthy h'orderves look no further than to this sardine and anchovy pate spread. 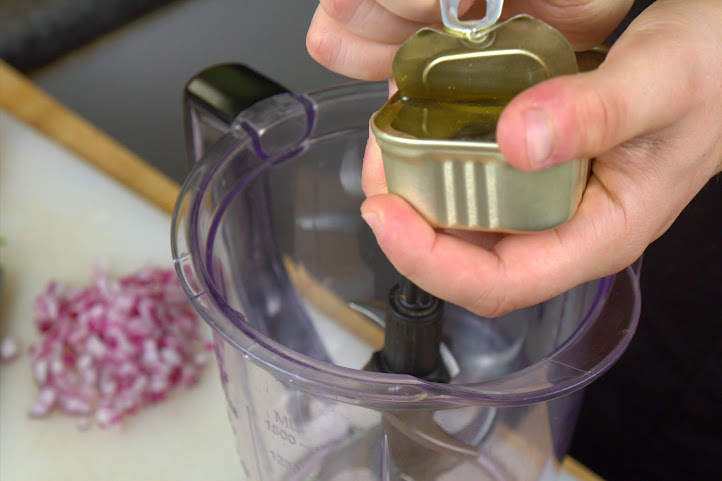 Combine all ingredients into a blender including 1/2 of the oil the sardines were packed in. Blend until pate consistency. Scoop onto crostini or crackers of your choice. Cooper, Craig. "Sardines: A superfood for men." Easy Health Options. N.p., 11 Sept. 2014. Web. 11 Sept. 2014. <http://easyhealthoptions.com/sardines-superfood-men/>. "Pacific sardine." Monterey Bay Aquarium, n.d. Web. 11 Sept. 2014. <http://www.montereybayaquarium.org/animal-guide/fishes/pacific-sardine>.